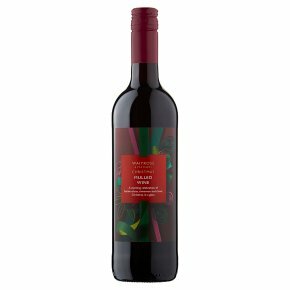 Waitrose Christmas Mulled wine is made from traditional Spanish grape varieties blended with festive clove and cinnamon spice. Smooth red berry flavours lead to a fruity and softly-spiced finish. Warm gently and serve with a slice of orange, star anise and a cinnamon stick. To add your own twist you could include a splash of orange juice, or even port. Serve with your favourite Christmas carol. INGREDIENTS: red wine, sugar, orange extract, cinnamon extract, clove extract, sulphur dioxide.